The Sheffield Buddhist Centre’s Great Hall is an ideal space for relaxing yet invigorating bodywork. Currently we have four styles available, please choose from below. The hall has underfloor heating so it’s suitable for classes all year round. We provide yoga mats, blocks and belts (you’re welcome to bring you’re own if you wish).Please wear comfortable clothes. Please let the instructor know of any current or prior medical condition you may have. If you are in any doubt in this regard please consult your doctor. 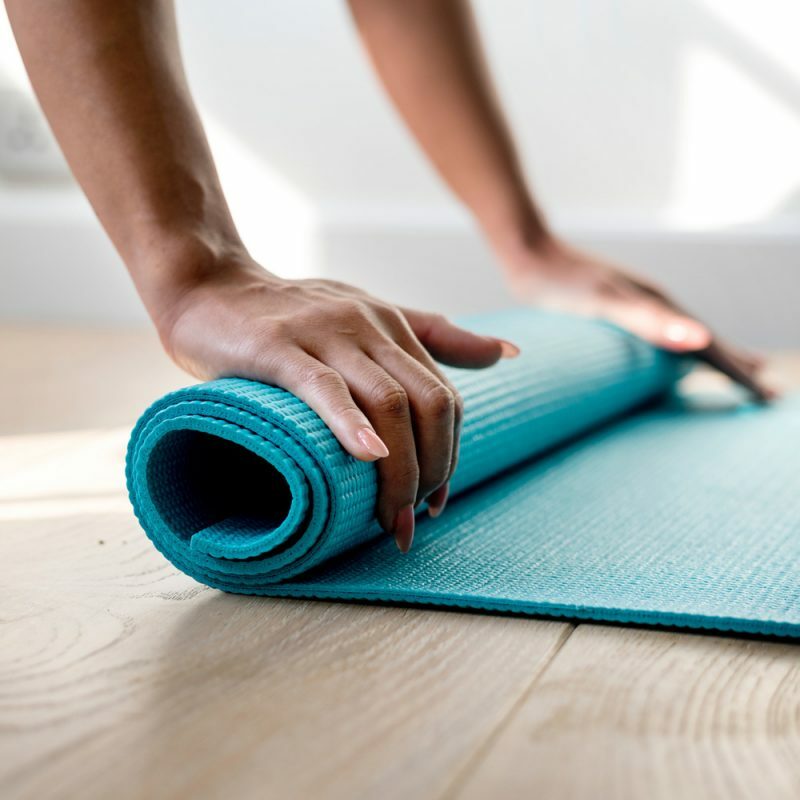 Our Hatha yoga courses use sequences from Mukunda Stiles Structural Yoga Therapy and Ayurvedic Yoga Therapy to restore ease, comfortable range of movement and energetic balance. A great start to the day. Please feel free to contact Kate on 07816 791239 with any queries about class suitability. Our courses are all running at the moment. Please contact the Buddhist Centre for information about the next course. Teaching yoga is inseparable from my work as a massage therapist. How someone can become more comfortable in their body, with easier movement, gaining balanced strength, resilience and adaptability that are useful to them in daily life. In the early 2000’s I was regularly attending classes to help my body cope with the physical challenges of my work. My teacher Pete Gill introduced me to Andy Thomas, an osteopath and yoga teacher who trained therapists in his Full Movement Method, a one to one treatment using yoga postures alongside hands on mobilisation and massage techniques. Shortly after qualifying in Full Movement Method and Yoga Teacher training I found Mukunda Stiles techniques and methods through his student Helen Barker with whom I follow an on going programme of development. Each of these approaches emphasises the importance of observing each individuals movement patterns – what’s moving well, which joints move less well, which parts of the body are helping with the desired movement and which need encouragement? It’s great to see people progress with their yoga but what really pleases me is when someone tells me they’ve been able to get back to doing an activity they enjoy like long walks or gardening, without suffering afterwards. Or practical mobility we might not notice we’re losing – being able to put your socks on without sitting down (it was a 35 year old told me this! ), go upstairs without using the handrail, carry and play with children or grandchildren – the rejuvenating potential of yoga! And it’s not just for those in a certain stage of life – this is the yoga that healed my body and keeps me strong and resilient enough to be a full time massage therapist for 17 years so far! Most people’s aches, pains and discomforts are caused by an accumulation of movement habits and held tensions that are ‘below the radar’, mistakenly believing them an inevitable part of life. In my classes I aim to provide a framework for these unhelpful patterns and habits to be revealed and let go. Your body can then re-find its natural strength, balanced mobility and ease. “I have been coming to yoga with Kate now for around 3 years and find the classes really enjoyable. I have found the Monday class the best for me as I have had problems with my neck and shoulders and I find after class I feel much more flexible and relaxed. Kate is especially good if you have any niggling injuries as she works round what you can do” – Stephanie. “The Thursday Vinyasa class is a wonderful way to start the day. 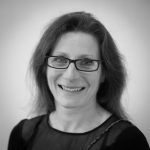 Kate has a lovely way of explaining the rationale behind the positions and how your body should feel so you come away with a great understanding of the benefits of the practice and even the confidence to do some at home” – Miriam. Ashtanga is a dynamically linked yoga which keeps the body moving in coordination with the breath, offering a moving meditation. All classes are taught by Nicola Harpin, who is currently the only teacher in South Yorkshire authorised to teach by the KPJAYI in India. 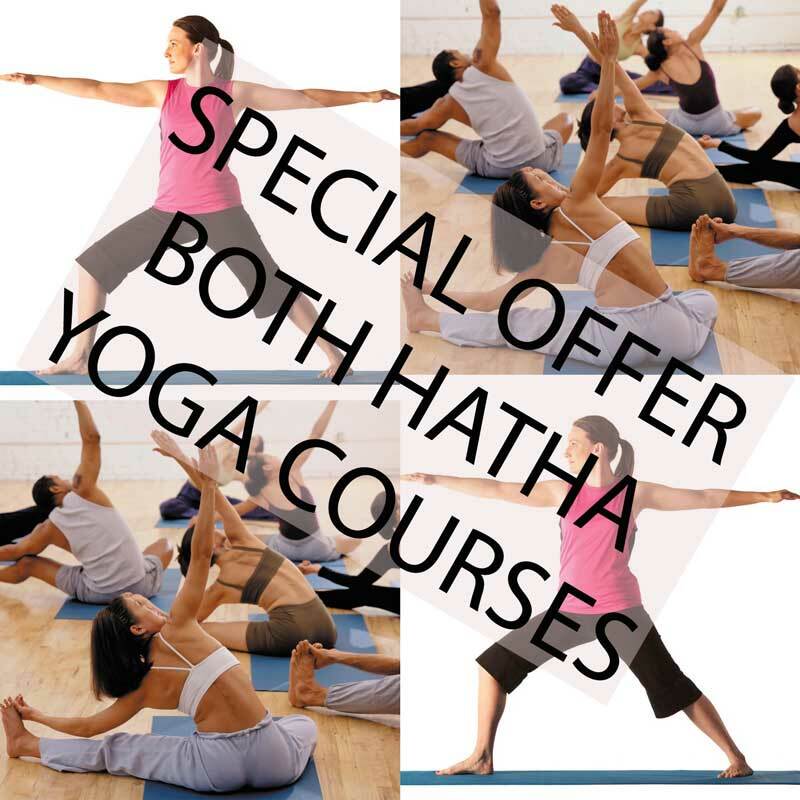 The primary series of Ashtanga Yoga is a dynamically linked series of hatha yoga asanas. The asanas have been sequenced together in such a way that each posture prepares the practitioner for the next pose. There are 7 series in total each with their own unique intention. 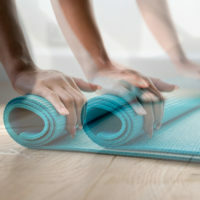 All of the series, keep the body moving in coordination with the breath, offering a moving meditation but also bringing calmness and inner peace. The benefits of Ashtanga of yoga are greater strength and flexibility, better concentration, calmness and a more compassionate outlook. The practice can be modified to make it accessible to all who wish to take part. 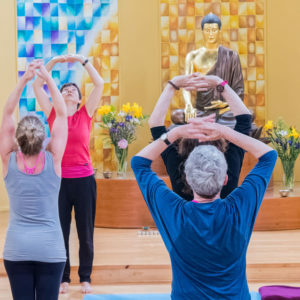 The Buddhist Centre classes are primary series general level classes suitable for anyone with previous yoga experience, no matter what the discipline. Thursday is a slightly more advanced class but all are welcome. If in doubt, please email us to check. Nicola has been practicing for over 20 years and began her yoga life with a Barbara Currie DVD’s in her bedroom, with a desire to learn more she began to attend classes. In South London, she soon met Kamal Paul and Lesley Sheridan who mentored Nicola in Sivananda, Ashtanga, Hatha and Iyengar yoga. In 2005 Nicola travelled to Portugal to undertake her initial Ashtanga yoga training with Brian Cooper and Nawajoyti of Union Yoga, Edinburgh. She continued her yoga training with the British Wheel of Yoga and become a qualified Hatha teacher in 2008. Having firmly got the yoga bug, Nicola continued her Ashtanga training with Kino MacGregor and Tim Feldmann at The Miami Life Centre and was fortunate enough to attend one of their second series immersions in the USA. Nicola travels annually to Mysore to study with Sharath Jois. She has studied with Sharath on his European tours, considers herself one of his students and is dedicated to his ways of teaching. Nicola is currently Sheffield’s only KPJAYI Authorised teacher having gained Sharath’s blessing to teach in 2018. With her love of ashtanga aside, Nicola also considers herself to be a teacher of women’s yoga and has been heavily influenced by her teacher Uma Dinsmore-Tuli, who she has been lucky enough to study with extensively. Nicola is qualified in: Pregnancy Yoga,Thai Massage, Post Natal Yoga,Baby Yoga & Early Years Yoga, Infant Massage,Yoga Therapy specialising in women’s health, Toddlers Yoga, Pregnancy Massage, Restorative Yoga. Tai Chi, or Tàijíquán (depending on the translation) is sometimes referred to as simply “Taiji” or ‘Taichi’; now a popular system of exercise for improving health, body alignment and co-ordination. Also, through regular practice the student can learn to relax and ‘let go’ unnecessary tension in the body and mind. The only requirements for Tai Chi are practice, patience and perseverance. It is equally suitable for young and old; men and women. Loose clothing is advised and light weight indoor shoes (preferably without a raised heel) can be worn. Some students prefer to train in socks or bare feet, whichever you find most comfortable. Please let the instructor know of any current or prior medical condition you may have. If you are in any doubt in this regard please consult your doctor. Qigong, also known as Chi Kung, is a sequence of exercises for health and relaxation that has been practiced by Chinese people for hundreds of years. Chi Kung has since become very popular with people in the West. There are many types of Chi Kung. 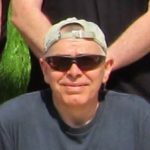 The sequence that we will be learning on this course is the Tai Chi Chi Kung 18 Movements, or ‘Shibashi’, for short. Qigong, also known as Chi Kung, is a sequence of exercises for health and relaxation that has been practiced by Chinese people for hundreds of years. Chi Kung has since become very popular with people in the West. There are many types of Chi Kung. The sequence that we will be learning on this course is the Tai Chi Chi Kung 18 Movements, or ‘Shibashi’, for short. We will be learning Tai Chi principles in order to fully benefit from the exercises. This should also provide a good foundation for those students who might wish to learn traditional Tai Chi movements later on. The course will be taught by Pete Fletcher (a.k.a. Sthirananda), who is a senior instructor with the Taiji School of Central Equilibrium and also a student of Wee Kee Jin (and the Huang Sheng-Shyan system of Tai Chi). He has been both teacher and practitioner for over 30 years.